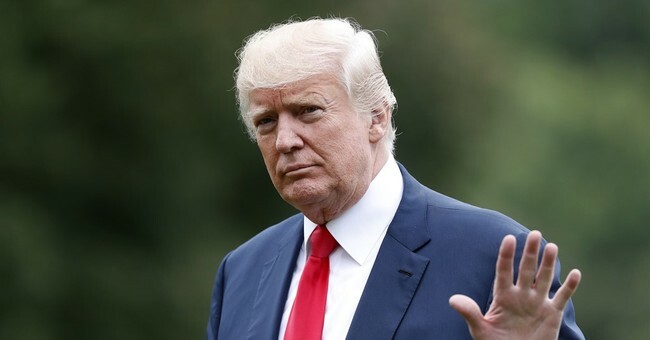 Speaking from the White House Monday afternoon after a meeting with Attorney General Jeff Sessions and FBI Director Christopher Wray, President Donald Trump directly condemned white supremacy and the Klu Klux Klan. "Racism is evil and those who cause violence in its name are criminals and thugs. Including the KKK, nao-nazis, and white supremacists and other hate groups that are repugnant to everything we hold dear as Americans," the President said. "We are a nation founded on the truth that all of us are created equal. We are equal in the eyes of our creator. We are equal under the law, and we are equal under our Constitution. Those who spread violence in the name of bigotry strike at the very core of America." The remarks comes after days of harsh criticism for President Trump's initial response to the violence, in which he condemned "all sides" and didn't specifically refer to white supremacy. The Department of Justice has since opened a civil rights investigation into the matter and Sessions confirmed this morning the man who drove a vehicle into a crowd of people, killing a young woman, may be charged with domestic terrorism. "The Department of Justice has opened a civil rights investigation into the deadly car attack that killed one innocent American, and wounded 20 others. To anyone who acted criminally in this weekend's racist violence, you will be held fully accountable. Justice will be delivered," Trump said. "As a candidate I promised to restore law and order to our country and our federal law enforcement agencies are we will spare no resource in fighting so that every American child can grow up free from violence and fear. We will defend and protect the sacred rights of all Americans, and we will work together so that every citizen in this blessed land is free to follow their dreams, in their hearts, and to express the love and joy in their souls."